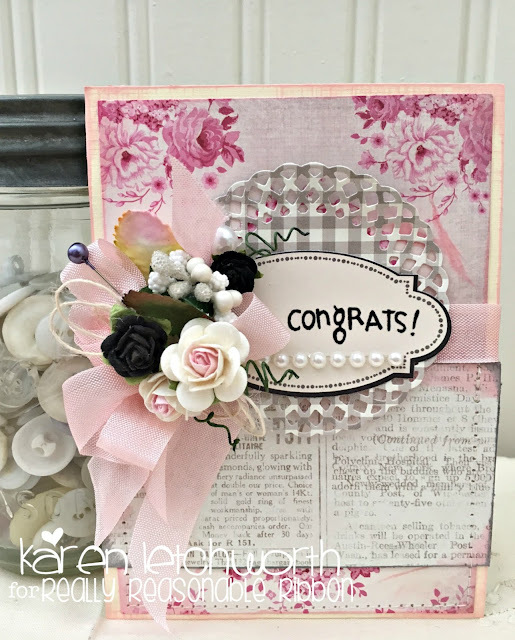 Today I'm sharing a card that I created for Really Reasonable Ribbon. 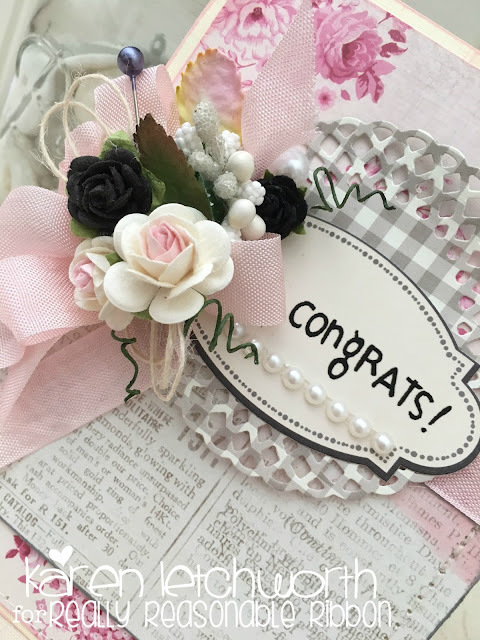 I used an ivory Bazzill card base and added a floral patterned paper, a grey gingham patterned paper, and a print patterned paper and I inked each one before attaching them to my base with the wonderful adhesive, Score-Tape. Once all my papers were in place, I added a rub-on sentiment (congrats) to a journalling sticker. I placed some pearl accent stickers at the bottom of the journalling sticker, and then got busy embellishing it. On the side of my sentiment sticker, I added several goodies from Really Reasonable Ribbon including two Black Open End Roses, two Two-Toned Pink and Ivory Open End Roses, one Green Paper Mulberry Leaf, one White Mulberry Paper Leaf, one White Berry Spray Cluster and a White Flat Back Pearl. 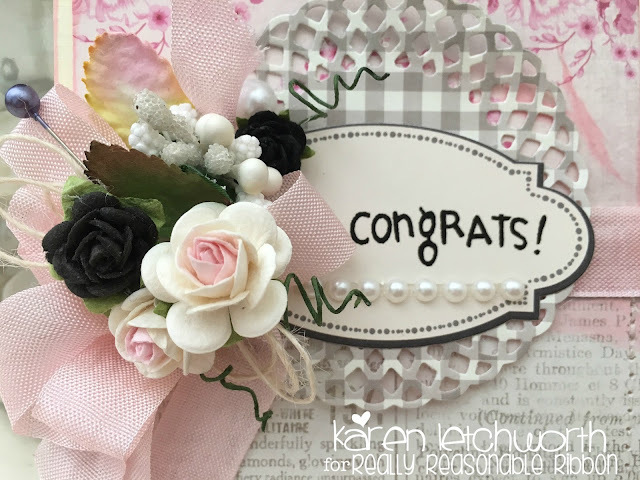 Finally, you will notice that my card also has a lovely double bow tied with Baby Pink Seam Binding, and I have a bundle of Ivory Burlap String tucked underneath everything in that bow and flower cluster. There are so many fabulous products at Really Reasonable Ribbon to help you make something lovely.